I recently made hoisin black bean burgers (which were delicious! I will share the recipe soon), but I had some trouble when the recipe called for mayonnaise. There are vegan mayonnaise products out there, but they all contain oil. 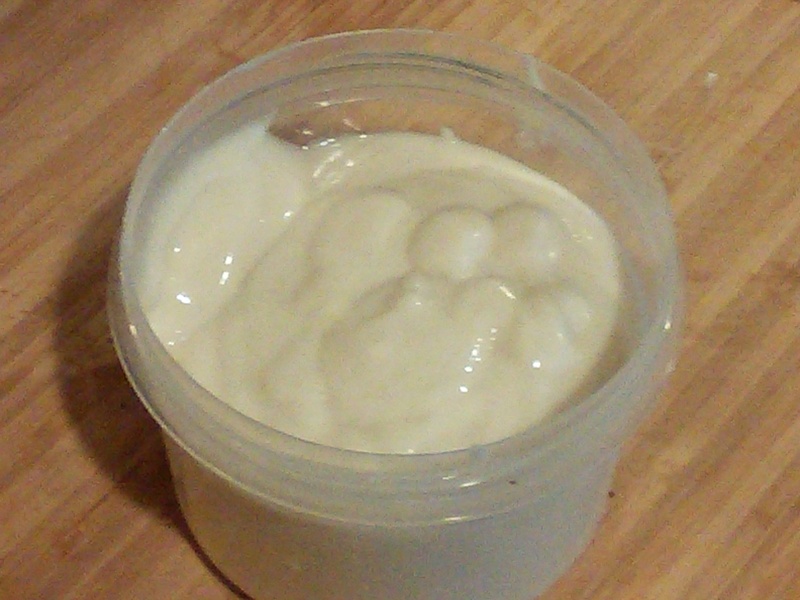 A quick google search for an oil-free mayonnaise helped me find this vegan, oil-free mayonnaise recipe. It turned out pretty well! It doesn’t have the same thickness as regular mayonnaise, but the taste is mostly similar. The original recipe called for ingredients I don’t have stocked (and don’t want to purchase), so I’ve revised the recipe a teensy bit. Note: Add 1 tsp. of Sriracha to make it spicy mayonnaise. It’s really good! You can also add a dash of cayenne pepper and 1 tsp. chili powder for an alternative spicy flavor. Boil about a cup of water, pour over the cashews, and soak for 10 minutes. While waiting on the cashews, blender up the milk, apple cider vinegar, salt, and mustard powder. When the cashews are done, add them to the blender mix and blend until smooth. 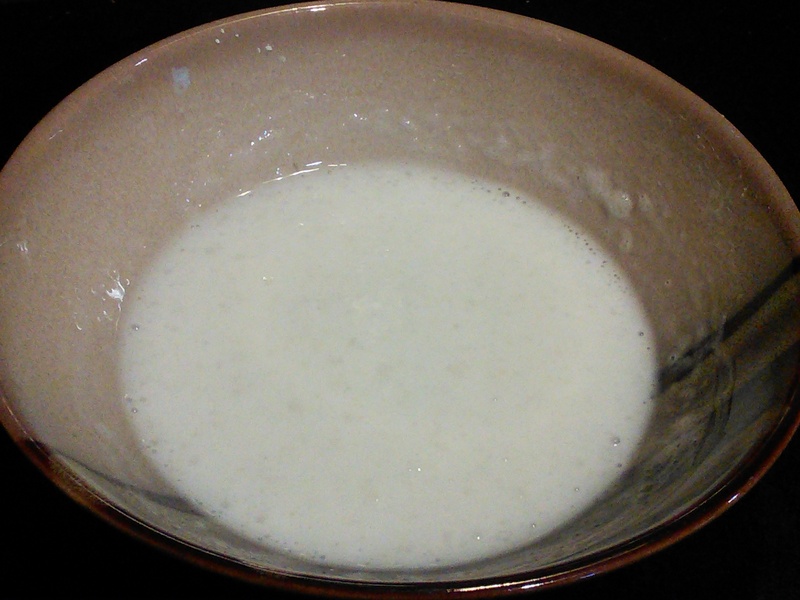 Put the cold water, xanthan gum, and cornstarch in a microwave-safe bowl. Whisk until combined. Microwave it for 45 seconds, whisk again, then continue microwaving in 30 second increments (whisking in between) until it’s thick, smooth, and translucent. 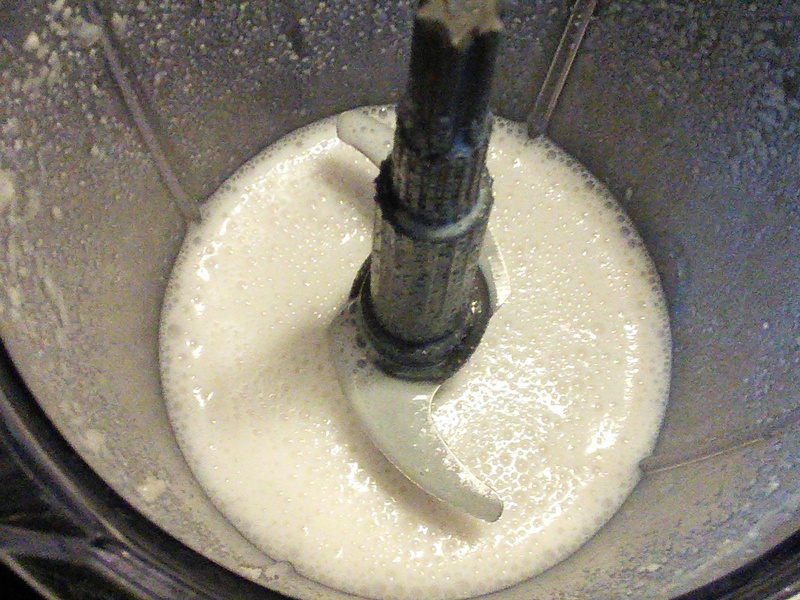 Add the cornstarch blob to the blender mix and blend together until smooth. You may need to use a spatula to periodically scrape down the sides of the blender to ensure it’s well-mixed. Store in an air-tight container for up to a week and a half. This is best used as a mayonnaise after being refrigerated for about 4 hours, but if you’re using it in a recipe calling for mayonnaise it’s okay to use right away. It’s mayonnaise. I’m not taking a nice picture of mayonnaise. I’m so glad you tried the recipe! 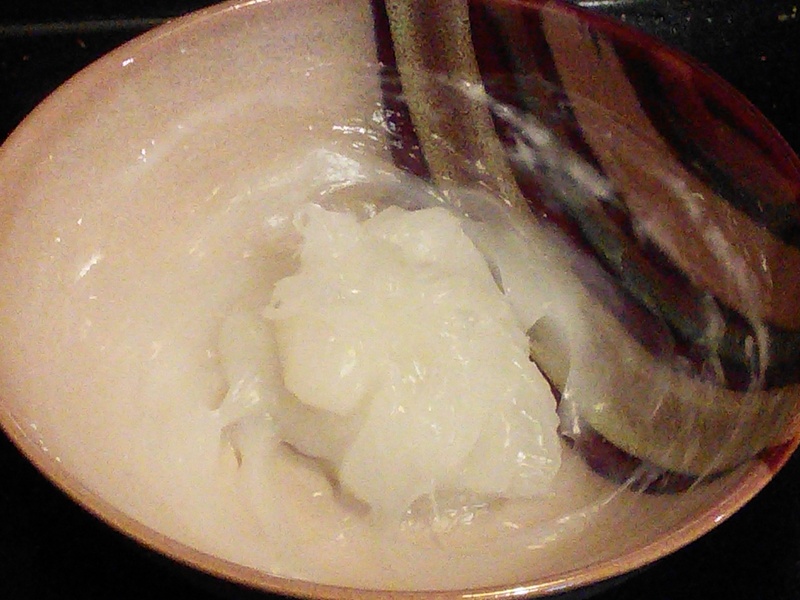 It’s a little thicker with Agar – might be worth bumping up the Xanthan gum when you substitute. The sriracha version sounds AMAZING! I’m making that with my next batch. This was so good, quick and easy to make!